University of Illinois Springfield psychology major Patricia Mubirigi is using her personal experience to help fellow students make better decisions when choosing classes. Mubirigi started taking classes in nursing at a community college, but wasn’t finding the coursework rewarding. An academic adviser suggested she try psychology classes, which she loved. Mubirigi transferred to UIS and now wants to become a college academic adviser. At UIS, Mubirigi is a peer adviser and intern for the Office of Advising Services, Information, and Support (OASIS). In that role, she holds peer advising workshops where she helps students pick the right classes for them and makes sure they’re on track towards graduation. Mubirigi is also a member of the University Bible Fellowship and a peer educator for InQueery, where she speaks to students about combating homophobia, transphobia, and heterosexism through innovative activities and workshops. Mubirigi, who grew up in Rockford, Illinois, but is originally from the Democratic Republic of Congo, says she’s learned many lessons about leadership by being involved at UIS. Mubirigi says she’s glad she chose to transfer to UIS and encourages other students to attend the school. She says she enjoys the right-sized supportive community at UIS. Vickie Cook, executive director of the Center for Online Learning, Research and Service (COLRS) at the University of Illinois Springfield has been named to the Online Learning Consortium’s (OLC) 2017 class of fellows. 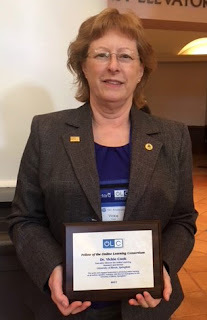 She was recognized during the OLC Accelerate Conference in Orlando, Florida, Nov. 15-17. 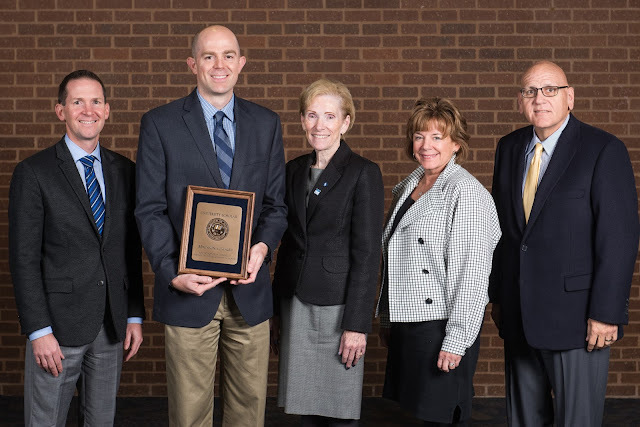 Recognition as an OLC Fellow is conferred by the OLC Board of Directors on those who have contributed to advancing quality, effectiveness and breadth in online and blended education in areas represented by the OLC Pillars: learning effectiveness, access, faculty and student satisfaction and scale. Cook has been actively engaged providing consulting and faculty development with educational leaders across the U.S. and in Mexico. 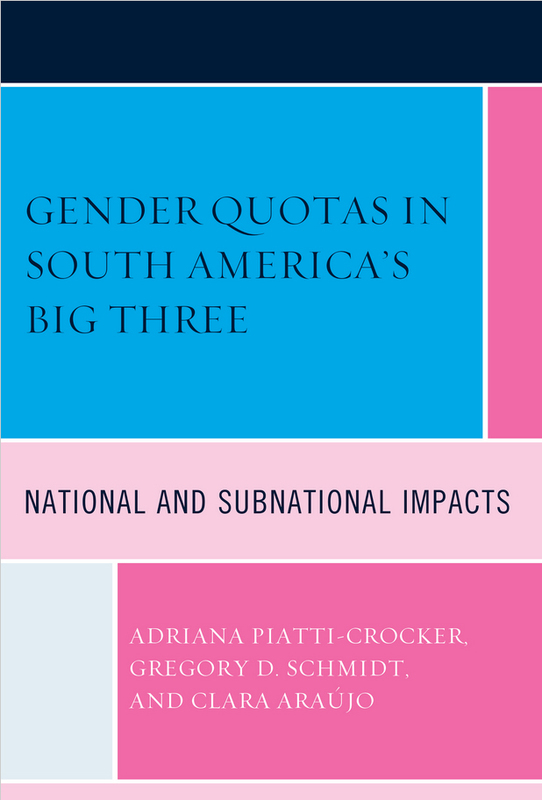 Her work has been published in a variety of national educational publications. She worked as part of a team that authored the University Professionals & Continuing Education Association (UPCEA) Hallmarks of Excellence. She teaches online in the Teaching English as a Second Language concentration of the Masters of Arts in Education program at UIS. Cook has served on several regional and national committees, as well as having been a long time member of Illinois Council on Continuing Higher Education (ICCHE) serving in multiple roles on the Executive Board; serves as a board member of UPCEA; serves as a mentor for the Association for Continuing and Higher Education (ACHE); is a member of OLC and serves on the Online Learning Journal Review Board. The Online Learning Consortium (OLC) is a collaborative community of higher education leaders and innovators, dedicated to advancing quality digital teaching and learning experiences designed to reach and engage the modern learner – anyone, anywhere, anytime. Additional information can be found at www.onlinelearningconsortium.org. 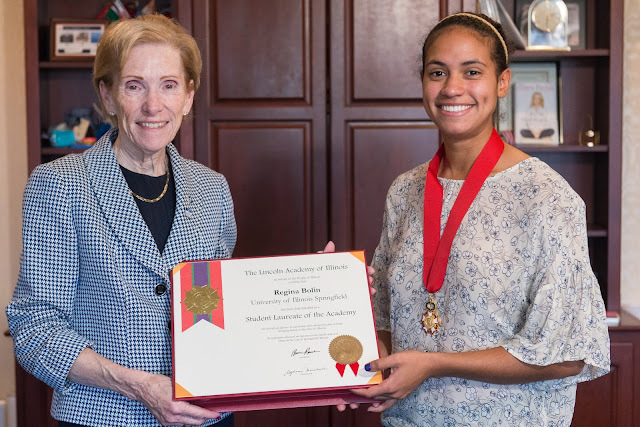 University of Illinois Springfield senior Regina Bolin was honored with the Student Laureate Award from the Lincoln Academy of Illinois on November 11, 2017, at the Old State Capitol in Springfield. Bolin, a Kansas City, Missouri native, holds a 3.95 GPA and is majoring in business administration with a minor in communication and computer science. She is a member of the UIS Prairie Stars Women’s Soccer team and has been on the Athletics Academic Honor Roll for the past three years. At UIS, Bolin is vice president of the Alternative Spring Break student organization, a member of the Capital Scholars Honors Program, Beta Gamma Sigma Honor Society, and the Fellowship of Christian Athletes. She is also on a marketing committee that gives UIS student feedback about social media and advertising. As a student-athlete, Bolin was nominated for the UIS Athletic Department Newcomer of the Year award and two years ago received the Coaches’ Award for the women’s soccer team. Bolin has gotten the chance to do community service as part of the soccer team and with other organizations. In 2013, she traveled to Washington, Illinois to help clean up tornado damage with the soccer team. She has also volunteered with The Boys and Girls Club and went on the Alternative Spring Break trips to New York City in 2015 where she helped feed the homeless and to the Florida Gulf Coast in 2016 where she helped with environmental restoration projects. Most recently, she spent a summer studying abroad in Italy where she took classes at the Università Cattolica Del Sacro Cuore. She got a chance to explore the country, learn about the culture and meet new friends. 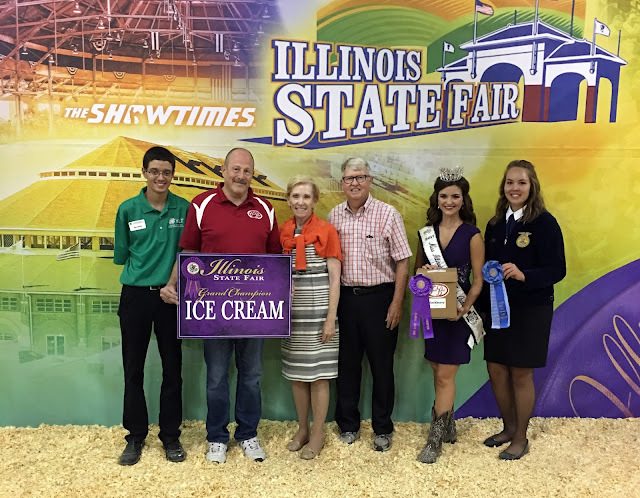 Following graduation from UIS, Bolin would like to attend graduate school and eventually work in the marketing department of a well-established business. Her ultimate career goal is to work for the Disney Corporation. Krystal Wilson, catering supervisor in UIS Food Service, has been awarded the 2017 Chancellor’s Award to Recognize Excellence in Civil Service (CARE). 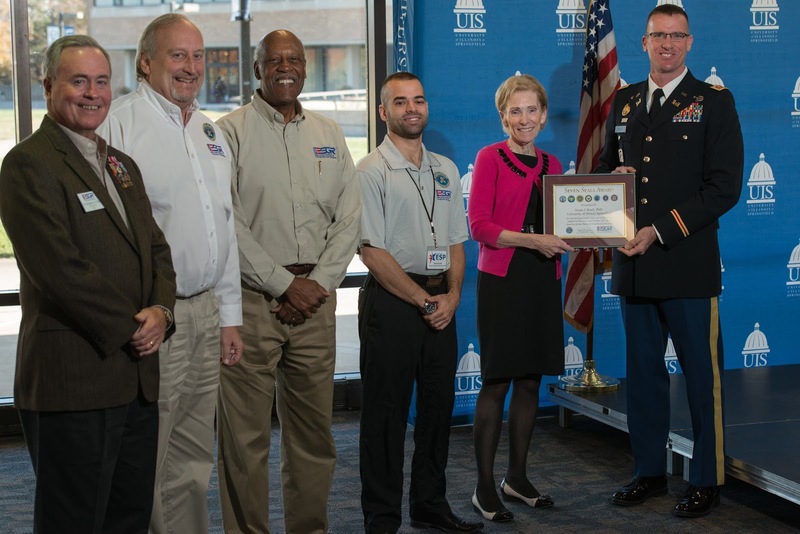 The award is the highest honor annually awarded to a Civil Service staff member at the University of Illinois Springfield. Chancellor Susan J. Koch announced the winner of the award during a breakfast on November 2, 2017. She also thanked all civil service staff members for their dedication to UIS. Wilson has worked for food service for 26 years. She credits her former supervisor, Brian Patton, and her student workers for serving as her inspiration. “They make me all want to excel every day,” said Wilson. If you have attended a catered event on campus, chances are you’ve experienced Krystal Wilson’s exceptional service. “Although hospitality is part of Krystal’s job, she makes the extra effort to exemplify and demonstrate the highest standards of the industry,” said a nominator. Krystal listed out 12 qualities she believes are important for a UIS employee to embody. 1. To be ambitious and go the extra mile. 2. To be confident, take risks and seek the challenges. 3. To be culturally fit. 4. To be a good communicator. 5. To have leadership skills. 6. To be committed and reliable. 8. To be a team player. Other Civil Service employees nominated for the award include: Julie Atwell, office support specialist for AAS/English/History/Modern Languages; Marlena Constant, child care associate at UIS Cox Children's Center; Gwen Cribbett, admissions and records officer for UIS Admissions; John Freml, IT tech association for the Center for Online Learning, Research and Service; Elizabeth Huffines, administrative aide for the Vice Chancellor for Academic Affairs; Pamela McGowan, staff clerk for the Graduate Public Service Internship Program; Jeff Sudduth, IT tech associate for Information Technology Services; Candy Tucker, culinary worker II for UIS Food Service; Michelle Vinson, housing administrator for UIS Residence Life; and Patti Young, office support specialist for the UIS Biology Department. 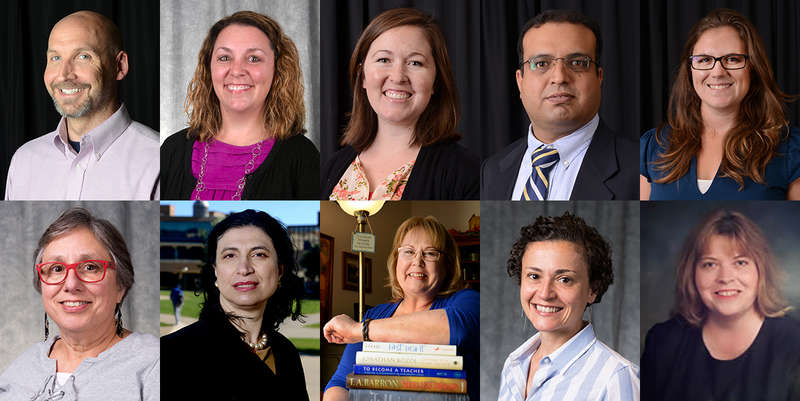 Ten faculty members at the University of Illinois Springfield have been chosen as the inaugural class of Excellence in Teaching and Learning Fellows. 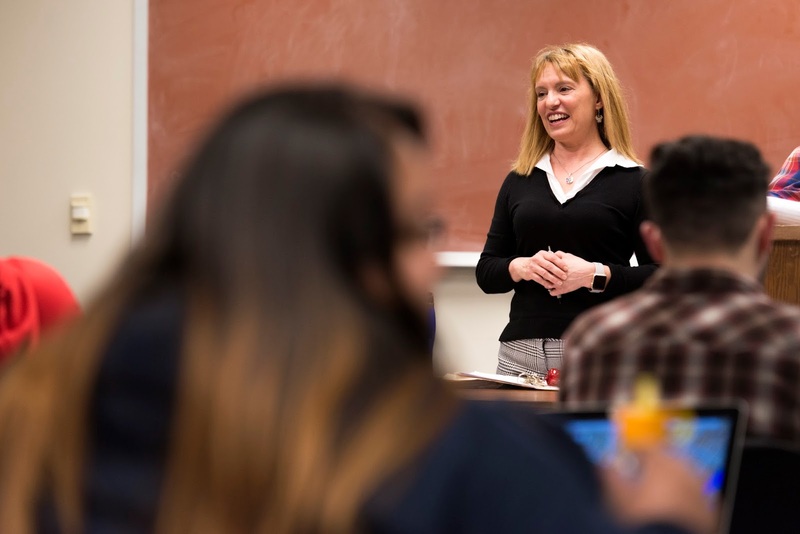 The program, which began this year, is an effort to encourage faculty to engage with high impact teaching practices that can transform their teaching. The group will meet monthly to discuss educational psychology and research-based practices. Participating faculty will read and discuss literature that has been shown to improve student learning, as well as engagement practices from fellow UIS professors. Fellows that participate in seven or more of the ten sessions will be eligible to apply for competitive implementation grants and travel grants to a conference targeted at improving teaching practices. Faculty chosen to participate include: Angela Doehring, Carlee Beth Hawkins, Elizabeth Kosmetatou, Andrea Scarpino and Richard Stokes from the College of Liberal Arts and Sciences; Carol Jessup and Sudeep Sharma from the College of Business and Management; Tiffany Nielson, Denise Bockmier-Sommers and Cynthia Wilson from the College of Education and Human Services. The fellows were chosen by a committee made up of faculty and administrators representing each college. University of Illinois Springfield political science and economics major Kaelan Smith is passionate about helping people in his community. He recently helped to start the Downtown Discounts program, which saves UIS students money at downtown businesses. On campus, Smith is the vice president of the UIS College Republicans and is a member of the Capital Scholars Honors Program, where he volunteers as a peer mentor. He is also currently interning at U.S. Congressman Darin LaHood’s Springfield District Office. “The internship has taught me the professional organizational skills to make a government office work for the people and the kind of leadership skills it takes to be a successful public servant,” he said. Smith helped start the Downtown Discounts program in his role as co-chair of State Representative Sara Wojcicki Jimenez’s Higher Education Student Advisory Committee. Deals for UIS students vary, but often include a 10 percent discount at stores and eateries when students show their i-card. “I had a lot of communication with business owners trying to get an idea of what kind of offers were best for their business strategy, but also I also talked to students to see what kind of program would really attract them to the downtown area,” he said. Smith, who is from Clinton, Illinois, says he chose UIS because of its location in the state capital. Being in the seat of state government has given him many advantages when it comes to making connections and obtaining internships. Thanks to his opportunities both on and off campus and the knowledgeable professors in the classroom, Smith says he’s learned many lessons about leadership. Following graduation from UIS, Smith plans to work in state government before pursuing either a master's degree in public policy or attending law school. Afterwards, he hopes to work in a state’s attorney's office or in the public sector working on public policy or legislation. Smith encourages other students who are interested in government and politics to attend the University of Illinois Springfield. “If I could rethink it all over again, I would come back to UIS. UIS is a great place if you want to learn how to be a public servant, but also learn how to make your community a better place,” he said. 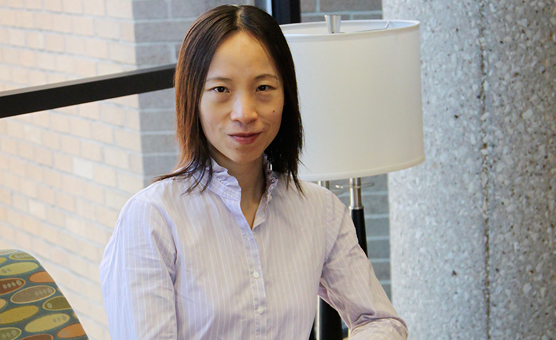 University of Illinois Springfield faculty member Lan Dong has been named the Louise Hartman Schewe and Karl Schewe Professor in Liberal Arts and Sciences. The endowed professorship will give Dong additional support to conduct research and other scholarly activities. As part of the professorship, Dong looks forward to completing several projects, enhancing the reputation of Department of English and Modern Languages and College of Liberal Arts and Sciences, and further integrating research into teaching and mentoring students at UIS. Dong came to UIS in 2006 as an assistant professor of English. In 2012, she was named a University Scholar by the University of Illinois for her excellence in teaching and scholarship. 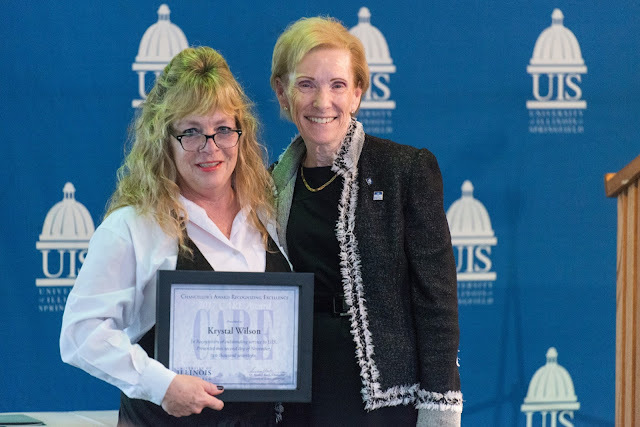 She also received the Faculty Excellence Award for Scholarship from the College of Liberal Arts and Sciences in 2011 and the Pearson Faculty Award for Teaching Excellence at UIS in 2012. As a result, students develop more interests in world culture, tradition and events and what they can do personally to help others, thus becoming engaged citizens. Dong also teaches Asian American literature and children’s and young adult literature at UIS. 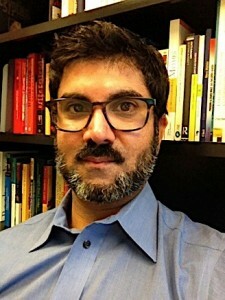 Dong’s research focuses on Asian American literature and more specifically on women. She has published a book on Mulan entitled “Mulan’s Legend and Legacy in China and the United States.” She has also written “Reading Amy Tan,” part of the Pop Lit Book Club series published by Libraries Unlimited, and edited the multi-contributor books “Transnationalism and the Asian American Heroine: Essays on Literature, Film, Myth and Media” and “Teaching Comics and Graphic Narratives: Essays on Theory, Strategy and Practice.” Most recently, she edited “Asian American Culture: From Anime to Tiger Moms,” a two-volume comprehensive study of Asian American cultural forms. Dong came from China to the United States in 2000 for graduate school. After earning a master’s degree in comparative literature from Dartmouth College, she earned her doctorate at the University of Massachusetts Amherst, also in comparative literature. A bequest from Louise Hartman Schewe created the Louis Hartman Schewe and Karl Schewe Professor in Liberal Arts and Sciences. Louise was a teacher and active civic leader in Springfield and Karl was a member of the Chicago Board of Trade and A.G. Edwards and Sons, Springfield. Endowed professorships at UIS create a lasting tribute to the donors who create them and are crucial for recruiting and retaining the high quality of faculty who are a hallmark of the University of Illinois Springfield. Edwin Robles has always been interested in politics and hopes to one day run for office. At the University of Illinois Springfield, he was elected by the student body to serve as their voice on the University of Illinois Board of Trustees. As the student trustee, Robles has a seat at the table at all of the board of trustees meetings. He regularly travels to the other U of I System campuses for meetings and helps cast the student vote on important issues. At UIS, Robles is a political science and public policy major. He founded the UIS Football Club, a club soccer team which travels to play other colleges and universities. He is also a member of the Phi Kappa Tau fraternity and previously served as vice president for alumni relations. He has traveled with Model United Nations to New York City twice to participate in the annual simulation and will participate for a third time this spring. As an elected student leader, Robles wants UIS students to know he’s here to listen to issues that students might be facing. He has an office on campus where students can come by and speak to him about issues that are important to them. Following graduation from UIS, Robles wants to join the United States Navy as an officer. He plans to earn his master’s degree in political science and eventually a Ph.D.
Robles encourages prospective students to consider UIS because of the right-sized supportive community and the abundance of opportunities for students. Five faculty and staff from the University of Illinois Springfield, Southern Illinois University School of Medicine and Southern Illinois University Edwardsville have been awarded grants from the Caryl Towsley Moy, Ph.D., Endowed Fund for Collaborative Research to study asthma and chronic obstructive pulmonary disease (COPD). Sangamon County has among the highest number of emergency department visits related to asthma and COPD in the state. Wiley Jenkins, Ph.D., associate professor in the Office of Population Science and Policy at the SIU School of Medicine and Egbe Egiebor, Ph.D., UIS assistant professor of public health, are employing Geographic Information Systems (GIS) to discover patterns and correlations that might aid in the treatment of adults with asthma and/or COPD. 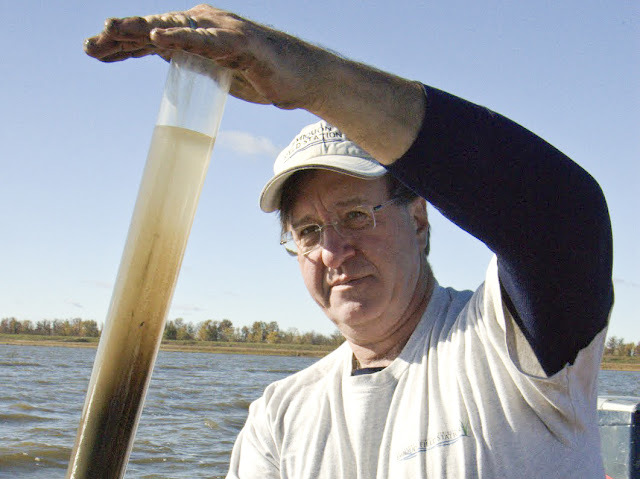 By mapping these incidents and correlating with environmental factors, geographically targeted interventions will be developed to increase health and decrease costs. 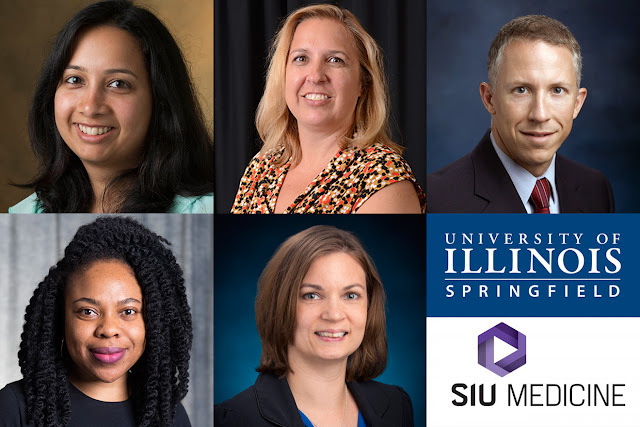 Maithili Deshpande, Ph.D., SIU Edwardsville assistant professor of pharmacy, Kristin Osiecki, Ph.D., UIS assistant professor of public health, and Amanda Fogelman, SIU School of Medicine Population Science and Policy senior research development coordinator, will also will join the team. Garrad Straube transferred to the University of Illinois Springfield to be part of the men’s cross country and track and field teams. The criminology and criminal justice major has taken full advantage of all that UIS has to offer and is currently completing an internship at the Illinois State Police Academy. On campus, Straube works as a student ambassador for UIS Admissions where he gives prospective students and parents campus tours. He is also the treasurer for the Tau Sigma National Honor Society chapter at UIS, a member of Student-Athlete Advisory Committee (SAAC) and the Fellowship of Christian Athletes. Straube started his career as a runner while attending Quincy High School. He ran at a junior college before transferring to UIS where he is now a leader on the team. He enjoys mentoring younger students on the team and helping them grow. As an intern at the Illinois State Police Academy, Straube completes administrative tasks and has also been able to ride along with troopers on the ground and in the air. He’s also interned with the SWAT team and other departments within the state police. Following graduation from UIS, Straube would like to become a police officer and hopes to work for the Illinois State Police. As a UIS student ambassador, Straube says it’s often his job to “sell” UIS to prospective students and parents. He says that’s an easy job.